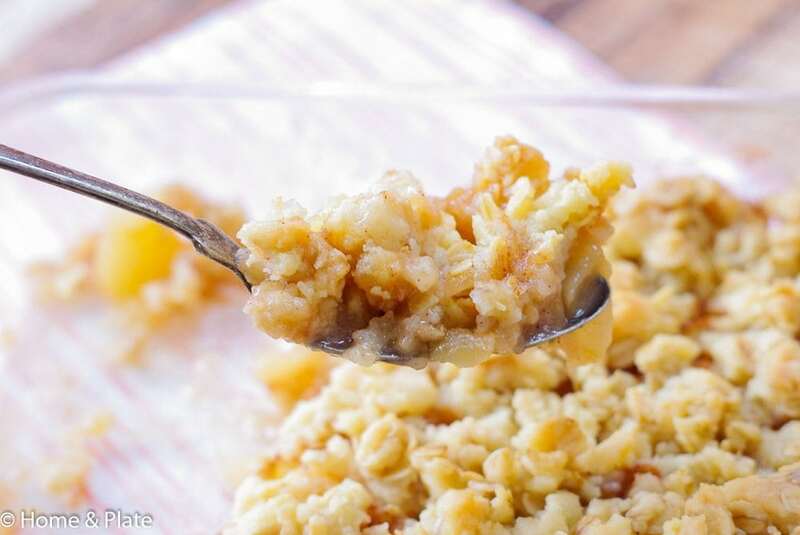 My Homemade Honeycrisp Apple Crisp is an easy dessert that can be made in under an hour. Let the kids do the peeling and I promise this sweet treat will disappear fast. Honeycrisp apples are the sweetest, most delicious fall fruit. My boys can’t get enough. Imagine my surprise when I found my teenage sons in the kitchen whipping up a pan of homemade honeycrisp apple crisp. One was peeling the apples and the other was making the crumb topping. 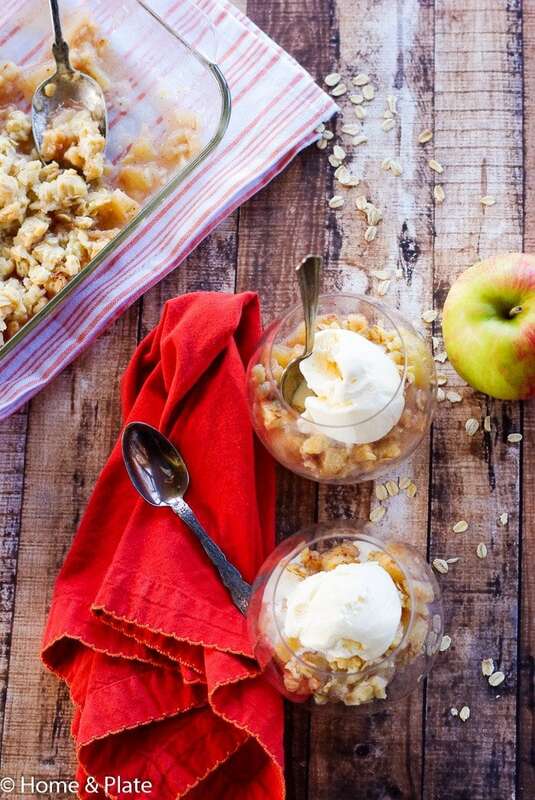 Can you prepare homemade honeycrisp apple crisp the day before? Absolutely! You can make it the day before, store in the fridge, and reheat it in the oven before serving it to your guests. It is simple and easy to make. The hardest part is coring the apples. It’s amazing what kind of help you can get in the kitchen when your cooking assistants know what the prize is. The apple crisp crumb topping is crumbly and sweet. It’s a great complement to warm, cinnamon-spiced cooked apples. Honeycrisp apples are my favorite kinds of apples because they are sweet and juicy and go great in any pie, tart or crisp. 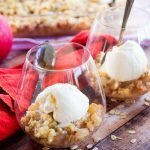 Should apple crisp be refrigerated? The crisp should be allowed to cool after baking until it reaches room temperature. Cover the pan with plastic wrap and refrigerate for up to two days. Trust me it won’t last that long if you have kids or spouses that love it as much as mine do. Do you serve apple crisp warm or cold? You can serve it warm or cold. If you make it ahead of time, bring it to room temperature first. Otherwise, warm up the crisp in a 350 degree oven for about 15 minutes. Love honeycrisp apples? 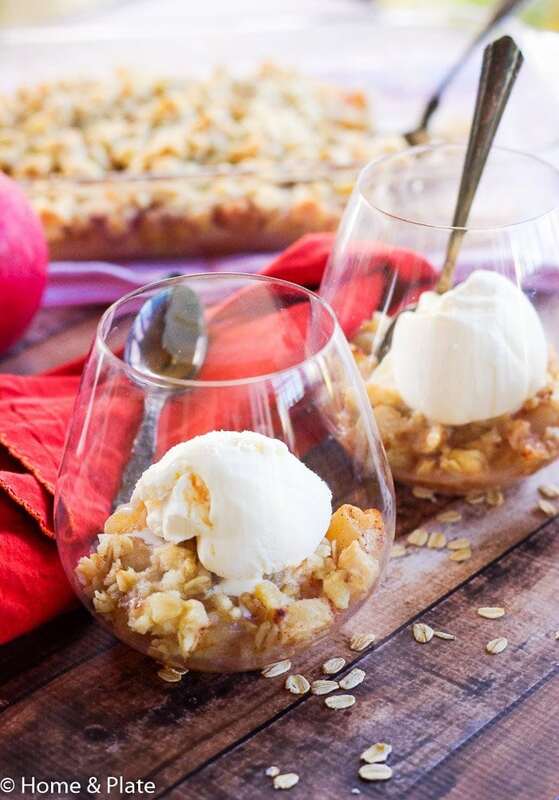 Try these delicious recipes using honeycrisp apples! My Homemade Honeycrisp Apple Crisp is an easy dessert that can be made in under an hour. 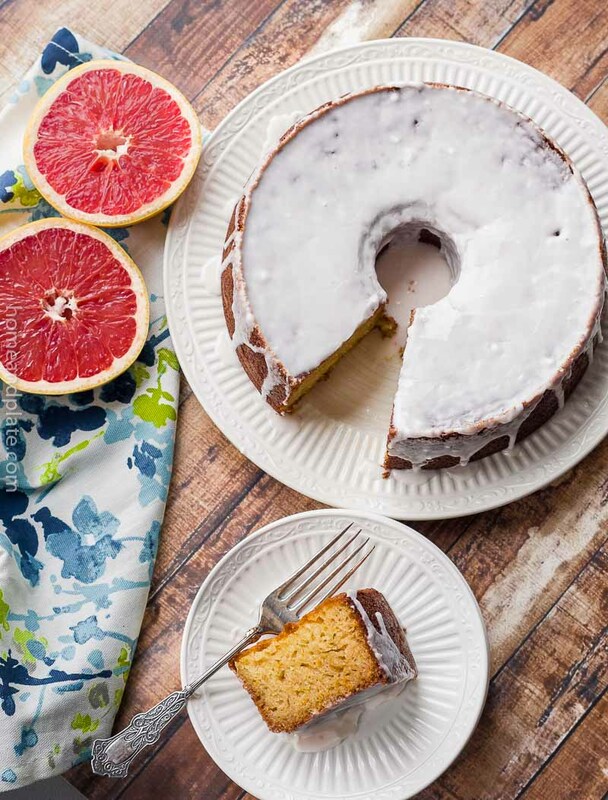 Let the kids do the peeling and this dessert will disappear fast. Peel, core and chop the honeycrisp apples into 1-inch cubes. Place the apples, cinnamon and water in a bowl and toss. Then place the apples into a prepared 11 x 2 inch pan. Honeycrisp apples are my FAVORITE! And my husband loves apple crisp! This is the perfect dessert. Perfect for fall. Thanks Liz. I adore crisps. I seriously barely ever make them because I have no self control around them! That’s awesome that your sons were whipping one up! As of this post, they have been busy in the kitchen. They love it. It does not last long. Love what you did here with the presentation. The crisp is absolutely gorgeous! Thank you Nic. It lasted about 5 minutes. And we have been so lucky with some great batches of honey crisp this year! I’m always stocking up! They are delicious this year. So sweet. Yum. Yum! Apple crisp is a perfect autumn dessert. 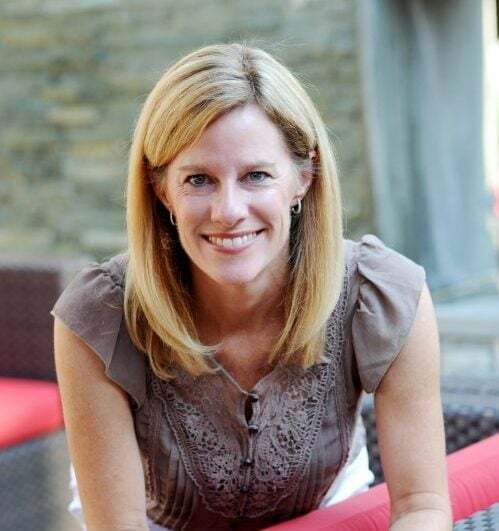 Marye….my kids just gobble it up. Perfect dessert. I am crazy for honeycrisps! They are my favorite apple variety. Mine too! So sweet and delicious. Honey crisp apples are our all time favorite!!!! Love this crisp, perfect warm with a scoop vanilla bean ice cream! It’s especially good with ice cream. Thanks Allie. Love that you use honey crisp apples–those are my favorite ! I made this last night. It was a hit! Thank you so much. It has become a favorite of mine as well.